Fighting out of New York, United States, Dwight “The Body Snatcher” Grant, 34, was one of the winners at “UFC 236.” It was his second victory in the Ultimate Fighting Championship. Featuring 13 mixed martial arts matches, “UFC 236” took place at the State Farm Arena in Atlanta, Georgia, USA on April 13, 2019. 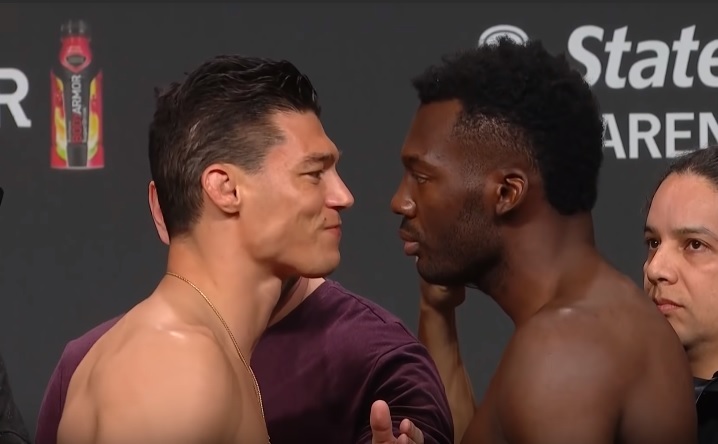 In the 10th bout of the evening, Grant competed in the welterweight division against French-Syrian-American fighter Alan “Brahma” Jouban, 36, of Lafayette, Louisiana, USA with George Allen as the referee. After three five-minute rounds, the welterweight bout was left in the hands of the judges namely Derek Cleary, Ken Coffey and Anthony Maness. In the end, Allen raised the hand of Grant, who was declared the winner via split decision. Both Cleary and Coffey scored the bout 28-29 in favor of Grant while Maness scored it 30-27 in favor of Jouban. It was the first split decision victory of the evening. Winning at “UFC 236” improved Grant’s professional MMA record to 10 wins and 2 losses. On the other hand, Jouban now has 16 wins and 7 losses. As an MMA fighter, Grant has been competing professionally since 2011. He joined the UFC in 2018. “UFC 236” marked Grant’s third outing in the UFC. When he made his promotional debut at “UFC on Fox 31” on December 15, 2018 at the Wisconsin Entertainment and Sports Center in Milwaukee, Wisconsin, USA, he lost via split decision to Zak “The Barbarian” Ottow, 32, of Milwaukee. In Grant’s second UFC bout, which was at “UFC Fight Night 145” at the O2 Arena in Prague, Czech Republic, he faced Carlo “Semento” Pedersoli, 25, of Rome, Italy. The New York native knocked out his Italian opponent via punch. Including the U.S., six countries were represented at “UFC 236.” The other countries were Brazil, Germany, Nigeria, Russia and Ukraine.